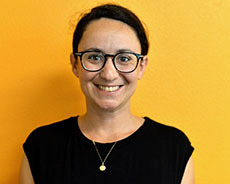 Lisa Jacobs, MD, MBA is a fellow in Child & Adolescent Psychiatry at Stanford University who is interested in treating adolescents with ADHD, mood disorders, psychosis and addictions. She did her residency training at The University of Pennsylvania and medical school at Brown University, after working as a writer, financial analyst, hospital administration and earning an MBA. She is interested in narrative medicine and founded The Penndulum residents’ magazine and is currently working on her first book. She lives in San Francisco, loves hiking, cycling, and skiing and has travelled to 37 countries.